The radar is working – thanks to multiple trips up the mast, several holes drilled in the mast with a cringe during each one, and running some wires from the mast to the cockpit. And of course, another hold drilled in cockpit sole, and what project would be complete without a trip to West Marine, or a friend dropping by with a fuse so I could power it on? Thankfully Jenn has smaller hands and is clever with popping the fuse cover holders off of the switch panel, because I can’t seem to remove them for the life of me. Which doesn’t make installing the fuse in the wrong switch on my first try an easy fix. 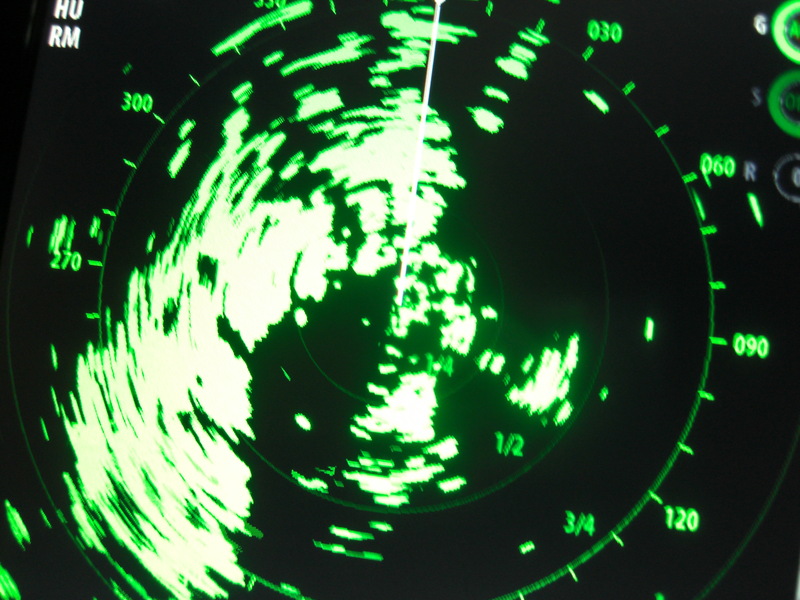 But the Simrad Broadband 3G radar is now spinning happily in it’s radome, and I can see the shape of Lake Union. All I need to do now is get offshore and use it to watch for ships. Today also marked unplugging the shore power for awhile to see that the solar panels would do, and I think I need to try again when I get to a sunnier climate. But at least everything is hooked up, and I have the battery\power monitor connected and showing me data. I think I need to to some fine tuning, learning, and possibly reconfigure to make sure I’m seeing the solar charge coming in. Provisions were purchased today, and while Costco has some great deals, it is not always the best place to find things when you have 37′ of boat to store them in. Still, we did pick up some needed supplies there such as 80 pounds of kitty litter since Minion seems to have active bowels. A couple other stops, and the boat is loaded with food, zip lock bags, wet wipes and of course, a 3 pound jar of Jelly Bellies since the first mate needs to be kept happy. The stowing is coming along, but there is still a concerning pile on the pier that I’m working on. Hard to believe, in less than 48 hours we’ll be on our way!